The Federal Reserve's policy statement knocked 1 percent off the value of the dollar without even directly mentioning it. The Federal Reserve’s policy statement knocked 1 percent off the value of the dollar on Wednesday without even directly mentioning it. The statement and updated economic forecasts Fed officials published after their meeting sent a clear message to markets: The greenback’s 24 percent surge since the end of June has complicated the Fed’s plans to tighten by holding down already too-low inflation and clouding the outlook for economic growth. Here’s where investors read between the lines. The median estimate now pegs the federal funds rate at 0.625 percent at the end of this year, down from the 1.125 percent median in December. At the end of 2016, the median forecast sees the funds rate at 1.875 percent, down from 2.5 percent. And at the end of 2017, it’s 3.125 percent instead of 3.625 percent. A stronger U.S. currency makes American goods more expensive for consumers overseas. One of the most striking aspects of the new set of forecasts was that, unlike in December, Fed officials no longer see economic growth reaching 3 percent — this year, next year, the year after that, or in the long run. The “central tendency” of their 2015 GDP growth forecast — which excludes the top and bottom three of the 17 committee members’ forecasts — fell to a 2.3 to 2.7 percent range, from 2.6 to 3 percent. For next year, the range was reduced to 2.3 to 2.7 percent from 2.5 to 3 percent. For 2017, the range fell to 2 to 2.4 percent from 2.3 to 2.5 percent. “I certainly expect net exports to serve as a notable drag this year on the outlook,” Yellen said during her press conference. The dollar rally that began last year is only about halfway through, according to analysts at Morgan Stanley. One reason to believe the dollar will continue to rise? 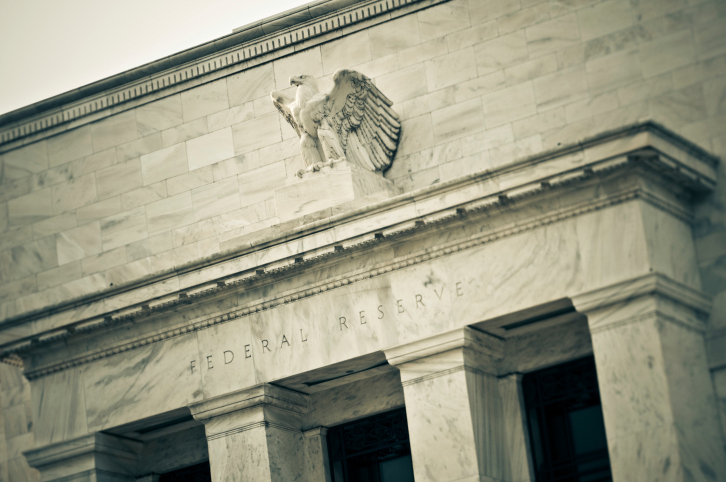 The Fed will soon begin tightening policy while other central banks around the world ease or at least maintain interest rates at very low levels. Officials said core inflation — a measure of underlying price trends that excludes food and energy — will probably track at 1.3 to 1.4 percent this year, from their December estimate of 1.5 to 1.8 percent. This is significant because the Fed said in its statement it needs to be “reasonably confident” that inflation will trend back up to its 2 percent target before raising interest rates. Now, the Fed doesn’t see core inflation reaching its target until 2017. In December, officials thought it more likely that the goal would be achieved in 2016. A stronger dollar puts pressure on prices by reducing the cost of goods imported from outside the United States. “Declining import prices have also restrained inflation, and in light of the recent appreciation of the dollar, will likely continue to do so in the months ahead,” Yellen said during the press conference. All of this underscores how the dollar’s ascent — in anticipation of an increase in U.S. interest rates — has made financial conditions tighter, even before the central bank has actually raised interest rates. The Fed finally seems to be acknowledging that.